There’s no denying that a pair of dress shoes is something that should never be missing from a man’s wardrobe. You may be wearing the best tuxedo available– but if your shoes don’t match or are rundown, then your image is completely ruined. You might as well tell people that you are a homeless person looking to do odd jobs. It’s a fact: No one really looks at the suit. They pay more attention to the shoes – especially if the person you are dealing with is shy by nature. It’s obvious that once they try to look anywhere else, they’ll look down – directly at your feet. This is why you are going to need a pair of dress shoes that you know for sure will not embarrass you in a given situation. You will need something that is both elegant and comfortable – something that is appropriate for any kind of situation. One such model that we are going to review is the Viotti stripped satin dress shoe –it is both simple and intriguing while expressing elegance and style. Having a stripped satin exterior, these shoes are not like your average leather or polished shoes. Made from actual material, they give the impression of wealth while not losing the smart casual style. The Oxford silhouette is also a classic, offering a timeless image to a shoe that already brings elegance through the materials used. From afar, the Viotti Stripped Satin Derby Oxford Dress Shoes for Men looks like any other kind of shoe; but from a more attentive inspection, you’ll notice that the synthetic sole also has a striking metal tip that makes the shoe look even more slender and attractive. The tip can be either silver or gold, depending on the color of the dress shoe. Speaking of colors, this pair also comes in a variety of colors – seven in total – to please every individual and their particular preferences. Therefore, if you prefer a pair of red or gold dress shoes over the classic black, then you are at liberty to choose. Sizes range from 7 to 15, making them perfect no matter if you have a small or large foot. Some customers brought to our attention that they run just a bit small, so you may want to purchase them one size up. The low block heel makes this dress shoe highly comfortable, which is a great feature if you have to stand through most of an event. The lace-up is also very simple, which means you won’t have to waste time putting on or taking off your shoes. The inner lining is also very soft and easily moldable on the foot. As long as the size is right, there will be plenty of cushioning to prevent the apparition of any blisters. Furthermore, since they are made from fabric, you will know for certain that the shoes won’t lose their shape. The synthetic sole – particularly the heel – features an anti-slip pattern that will prevent you from losing your footing. It’s also very durable, especially considering that the tip has been enforced with the metallic plate. Even if you hit something with the shoe at full force, you’ll barely get any damage – and if there is, it’s easier to fix metal than synthetic rubber. Considering that these shoes are made from satin, they will need a special kind of cleaning. Unlike leather shoes such as the 3DM Lifestyle leather shoes with a strap, the Viotti can’t be “fixed” by just dabbing some shoe polish over them. You’ll need to handle these satin shoes carefully since the wrong cleaning method can ruin the satin – and again, that can’t be as easily fixed as leather. The price is also very reasonable, considering what you get in return. Sure, they may not be as cheap as the 4HOW dress shoes made of suede leather, but considering the quality and the looks, you won’t find a better deal anywhere else. The style that you choose pretty much depends on the environment that you are trying to blend in with. For example, a smart casual event will work perfectly with fabric or Suede leather shoes. 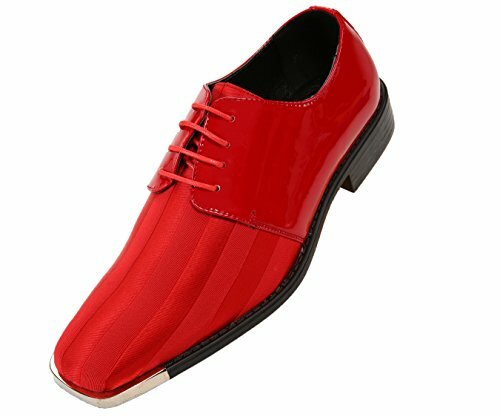 For instance, if you purchase a pair of Faranzi shoes to wear at a semi-formal event, they might look a bit out of place. On the other hand, the Viotti dress shoes can work with both formal and smart casual events. 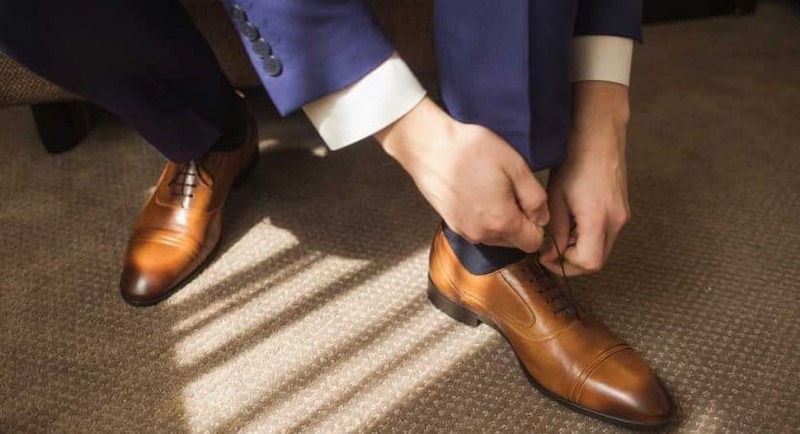 The Viotti Stripped Satin Derby Oxford Dress Shoes for Men are the perfect choice if you have a big event coming up, such as a wedding, an interview, or any other special occasion. Considering the reasonable price that you pay, you get high quality and an elegance that will grab the attention of anyone in the room – in a good way. They are simple enough to be tasteful, yet interesting enough to be the center of attention. For many people, these dress shoes were the perfect fit. You could barely find any faults in them – and the ones that did only appeared because the owner chose the wrong size. Once you get the right one, you cannot go wrong with the Viotti Oxford silk dress shoes.